Jonathan Barnbrook is a British graphic designer, typographer and filmmaker, operating from London in his own studio Barnbrook Design which he founded in 1990. 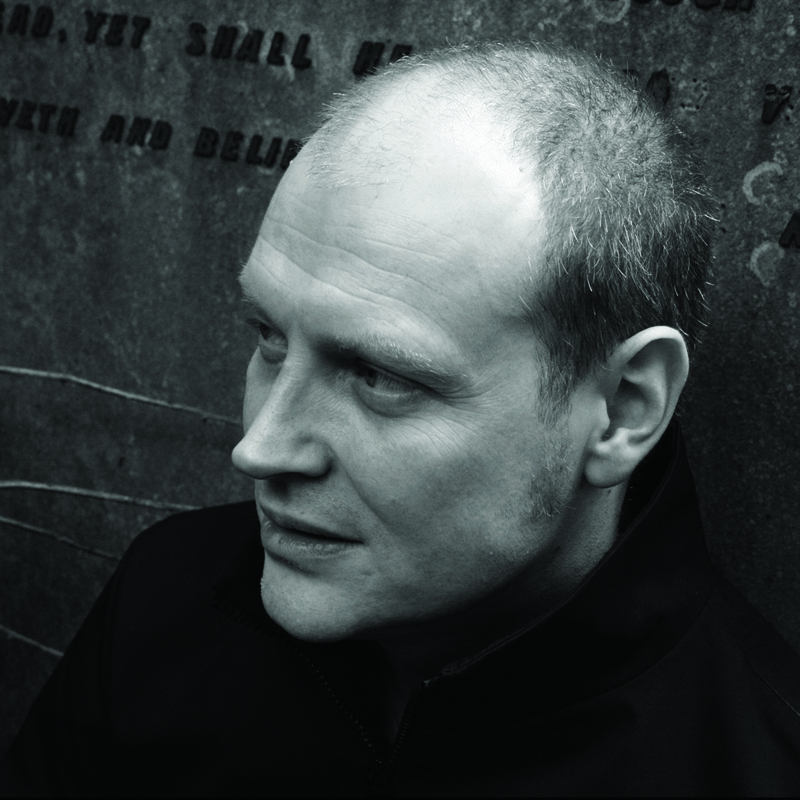 Born in 1966, Jonathan Barnbrook received his formal art education from Saint Martin’s School of Art. Later he attended the Royal College of Art in London from where he graduated with distinction. He has become a multifaceted practitioner of graphic design, typeface design, motion graphics, activism and industrial design. A former art director for Adbusters (Vancouver), designer of books for a.o. artist Damien Hirst and a prolific type designer, Jonathan Barnbrook is a text-book example of the designer as ‘cultural agent,’ who’s work focuses on sensitizing and activating its recipients. Barnbrook likes to provoke and poke fun at established ways of working in design, but at the same time he’s a very accomplished craftsman with a deep knowledge of the history and development of type and design through the ages. He introduced his typefaces through the innovative California-based magazine Émigré. His widely known typeface Mason (2010) became one of the first digital acquisitions of The Museum of Modern Art. In 2002, he produced the album cover for David Bowie’s album Heathen. Bowie subsequently requested him to design cover art for other albums including Reality and The Next Day. Much design really irritates me. The reason for that is that I feel that designers do not centre on the fundamental problems of the world, but that they’re too interested in the details. And really, I don’t want that mind-set in the work. The basis of that is a loss of utopianism in design. People have forgotten that actually designers, whatever they do, make the world a better place. Production should be for need, it shouldn’t be for profit. So my fundamental problem with design is that lack of utopianism now, and the prevalent idea that we should be producing work to encourage consumption. However. You’ll notice that a lot of work I do isn’t actually fundamental social problem solving. I think that making the human condition better can happen in poetic ways as well as fundamentally pragmatic ways. You cannot separate the context of the way the product is produced with the design you produce. 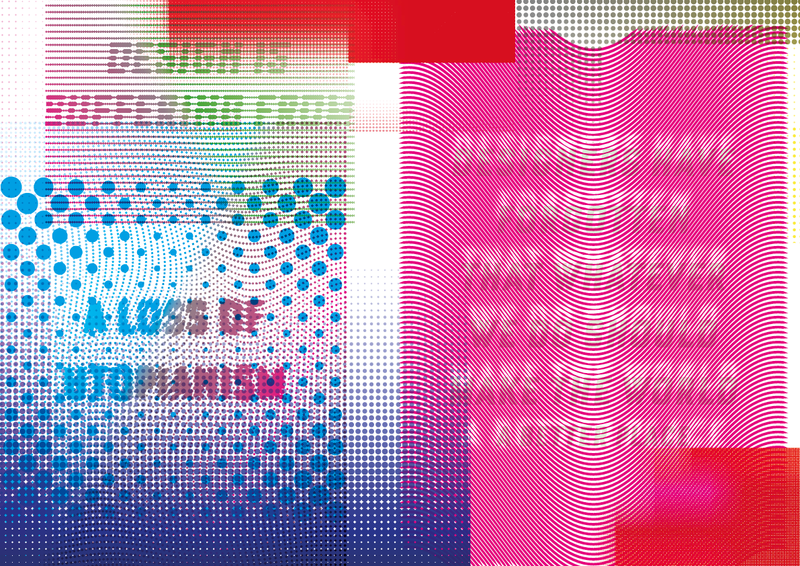 Which means that all design is political, of course. 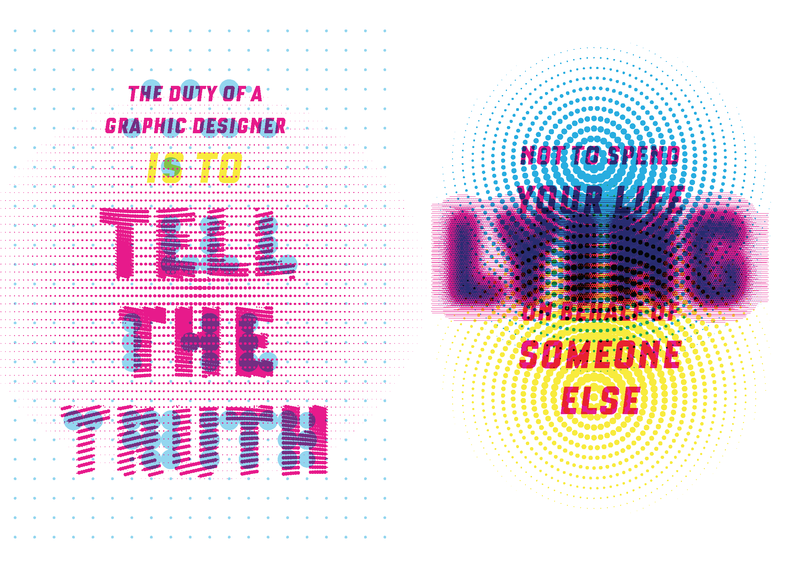 So any designer who says “I don’t get involved in politics”… well you decided to become a designer, you interact with a world based on production, therefore you are a political designer. It does bother me a lot that that isn’t explained at a fundamental level in some design schools. You have to look at the intention. It’s not about the methods that you use or the methods I use to produce an album, it’s about the intent. And the intent is not to make profit and to encourage people to consume – actually it’s about discussion. As well as understanding what design does, you have to understand how the subject matter, when you design, appears in the wider media. That was very important to me – just because you say it’s a subversive message, it shouldn’t look terrible! It should actually have the same level of interest and of stylistic appropriateness as the stuff that you’re fighting. 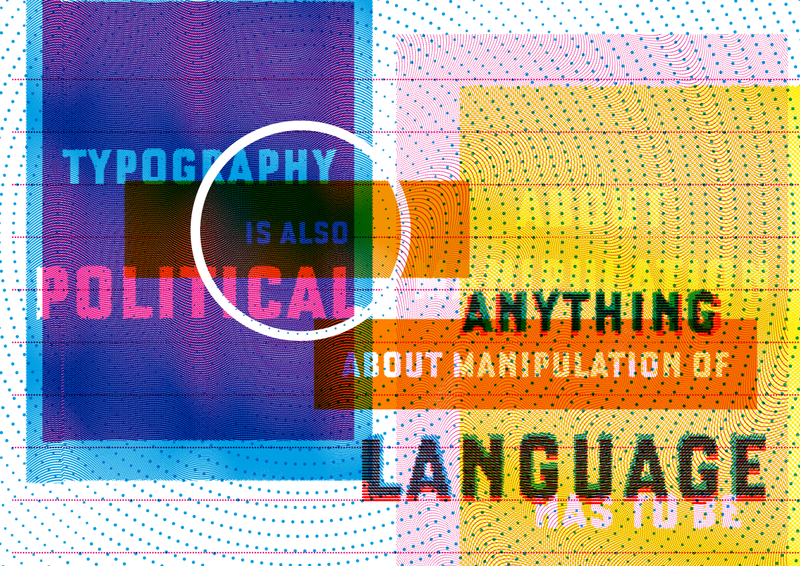 Typography deals intimately with language, and language is absolutely a tool for politics. When a politician says “peace,” they usually mean “war,” when somebody pauses between telling you something, it’s actually the pause that is more important than the words they’re saying. Typography has all those shades in it. That was my initial attraction to typography, that intimate connection with language. And so designing typefaces is part of a whole understanding of reinterpreting the world when I was young. A lot of the philosophical input in that time actually came from Cranbrook and Cal Arts and the idea of deconstruction and leaving the meaning open… So for me that was a revelation as well, that graphic design wasn’t commercially based, but that it does have an intellectual basis. And that idea, that design has an intellectual basis is still something that I have to fight for every day! One of the things that I understood when researching the history of typography and graphic design, is that technology has always affected how people write, how people talk, how people express themselves. People think it’s a new thing, with emoji and mobile phones… And it is a different way of speaking. If you say “I like something,” its different from doing a thumbs-up ‘like’ on Facebook. It’s really important, if you want to create a visual language for someone, it doesn’t matter who it is, to understand those prevalent trends in the way people speak and communicate to each other. When I design a typeface, there’s nothing less interesting to me than a historical revival, where someone would say “I took this font from the seventeenth century and I drew it perfectly, you know, I smoothened it out and made it a font for today.” But that’s not the point of typography; for me, it’s about a visual reference to many different things. There will be historical forms in there, there will be architectural forms, and there’ll be chance things which come from different cultures… and these aren’t about a historical revival, they’re about how you reinterpret the world in those twenty-six letterforms. 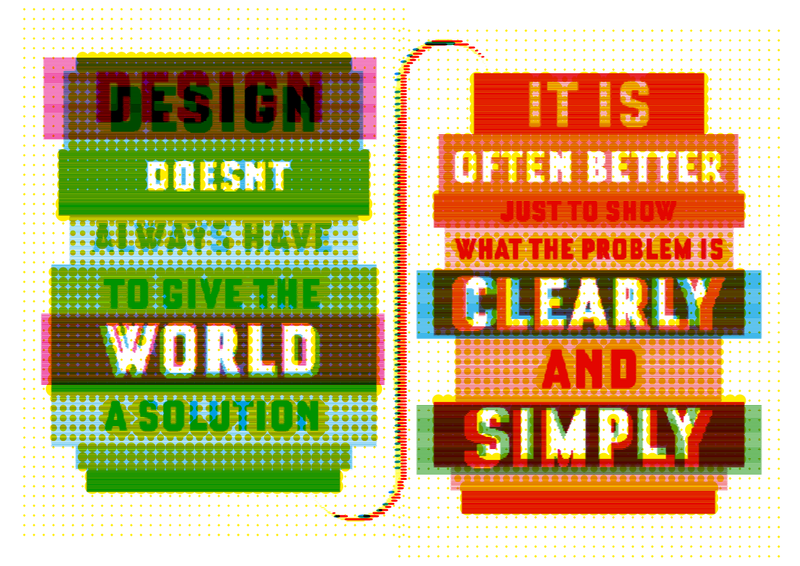 People talk about designers being problem solvers, but often they have to be problem revealers. They don’t need to know the answer necessarily, but they should reveal the question. I think that’s what a socially aware design should do, you know: “actually, this is the problem we’re facing.” And that is just as important as the utopian idea of offering a solution, as well. During his visit to Camera Arts, on March 2nd, 2017, Jonathan Barnbrook talked to Max Bruinsma and Evert Ypma about his design philosophy and his work in typography, his commitment to activism and his designs for David Bowie. 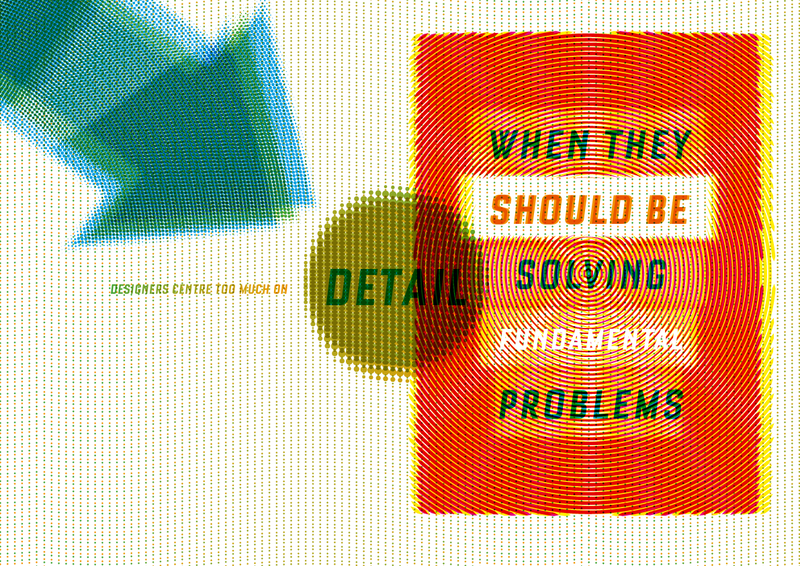 The text of this Position, and the typographic interpretations of the main quotes by Barnbrook himself, shown above, is derived from this interview. On the right, we present an extended version of the interview with samples from Barnbrook’s work, recorded and edited by Camera Arts students Anna Urwyler and Alexandra Pfammatter.